Today the Lucky Ferals YouTube Channel turns one year old! The first video was posted exactly one year ago today. To celebrate, we are having a One Year Channelversary Giveaway! 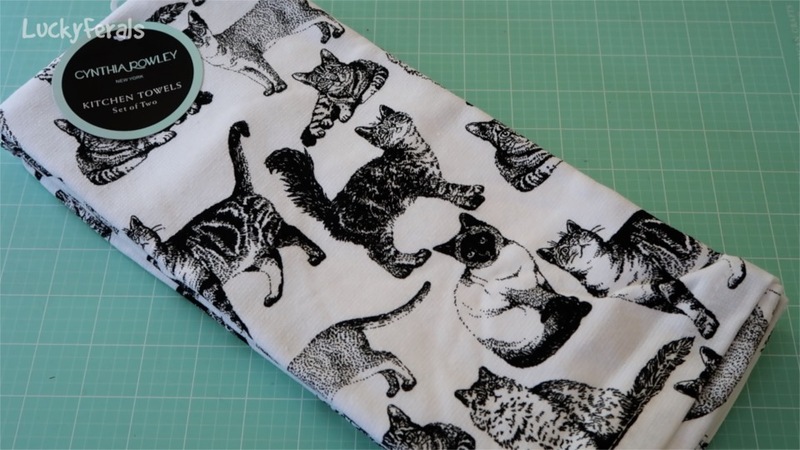 Win a prize package of super cute cat stuff! 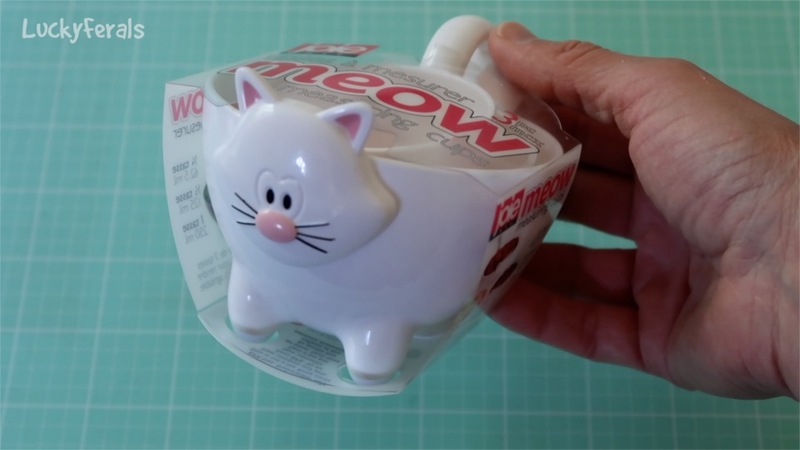 You don’t need to own a cat to win or enjoy the prizes. 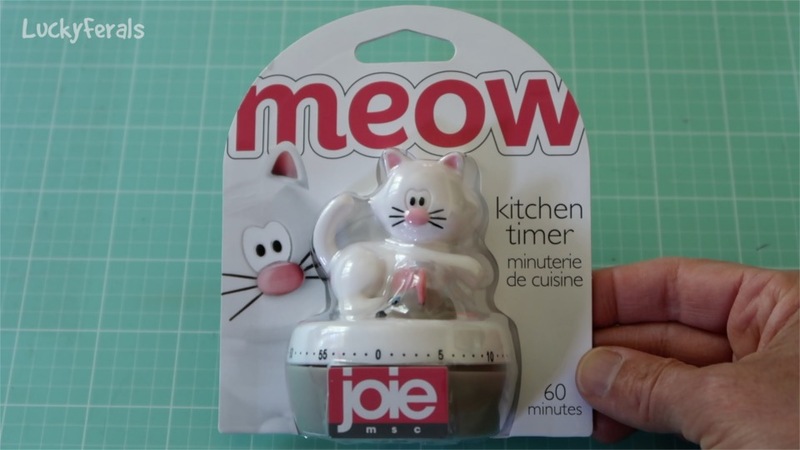 A white Meow cat shaped kitchen timer. 1. 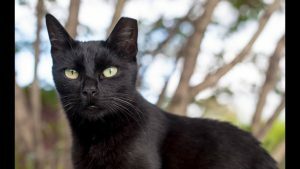 Be a subscriber to the Lucky Ferals YouTube Channel at http://www.youtube.com/luckyferals Please have your subscriptions public so that you can be verified as a subscriber. 2. Leave a comment below this post that answers the question – What is your favorite time of day to watch cat videos on YouTube? Make sure to use an email address that you regularly check because the winner is notified via email. Also please leave your YouTube user name with your comment if it is different than your entry name. Giveaway ends at NOON Eastern Time on Thursday, July 6, 2017. All entries must be received before then. One lucky random winner will be selected within 24 hours of the end of the giveaway. The winner will be notified via email within 24 hours of the winner selection. The winner has 2 weeks to respond to the email and claim their prize. Any prizes not claimed within two weeks are automatically forfeited and another lucky random winner will be selected. Giveaway open to USA residents only. Please note: Comments may not automatically appear on the site for new visitors but may be held for moderation. All comments will be moderated before the giveaway deadline. I love watching your videos on YouTube because Splash looks exactly like my elderly one and it’s just so adorable! I love binge watching your videos at night, right after a long day of work and school. My YouTube account is nanakang51. Thank you again for your videos! I love to watch kitty videos every chance I get throughout the day. 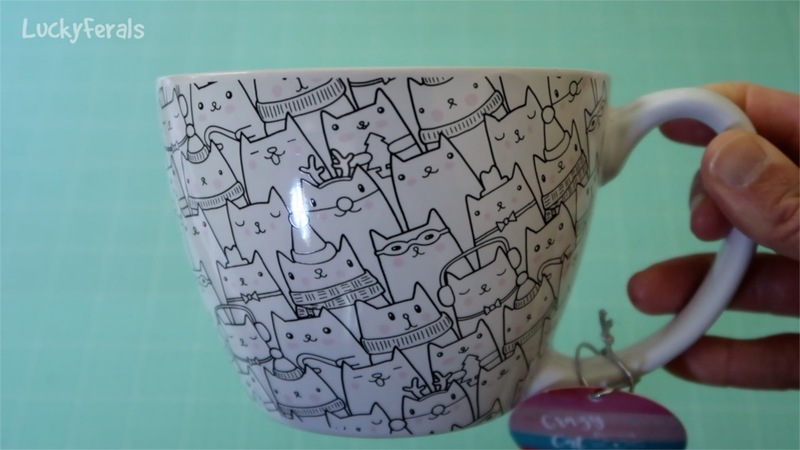 I may think of something that reminds me of kitties and off I go wo watch some videos. 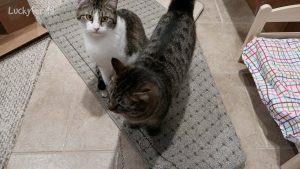 Or I may want to do something special for my 2 purrfect fur babies and again I’m watching videos for suggestions. It usually ends up being hours since I’m disabled and don’t leave home. They are so entertaining and always make me smile. I’m so glad I found your channel. Love to watch in the morn before I leave for work , Great fun!!! Gives me a smile every time. It warms my heart to see all you have done for your very Lucky Ferals. We have two apple head Siamese, Mia (for the sound she made non stop on the 1 hr. drive home after we bought her from the breeder) Little did we know of all cat breeds Siamese don’t like being alone. So we got her a buddy a Linx point Siamese, Phoenix . We got him from a local shelter, a breeder didn’t keep him cause his markings weren’t right. We love him. So does Mia! Loving watching!!! I love to watch videos when I am feeding my foster bottle babies. Feeding them every 2 to 3 hours doesn’t leave a lot of time to sleep so watching the videos keeps me awake and entertained while my hands are busy! =^.^= I watch Stella, Splash & Simba with our dog Hannah usually in the mornings before I have to get ready for work. If I am off of work, we watch the fur buddies anytime we want to. They are the cats MEOW! Hannah loves cat videos, which is how we found the lucky ferals. Congrats on the 1 year milestone! What is your favorite time of day to watch cat videos on YouTube? I like to watch cat videos right before I start my work day. Nothing better to put a smile on my face right before I have to work a long hard day. I don’t need to win anything from you… let some other FANATIC OSD cat lover get it !!! I watch all day ! My favorite time of day to watch cat videos is all day long! I love watching cat videos in the morning when I’m still in bed or at night before I go to bed! My YouTube username is fwghyh 😛 congrats on your anniversary!! I love to watch cat videos in the afternoon because they are fun and I enjoy relaxing to cat vidoes. However, I do try to watch your videos as soon as they come up whenever possible. Congratulations! One year is a lot of videos. It has been a great journey so far for us viewers. I loved watching your videos and I love watching them after a long day of work. Thank you for sharing the lucky ferals with us, they are indeed very lucky for having a human like you. I love all the kitties in the world! I’m a very big cat lover, even Hello Kitty! My cat was 16 when she passed away… and I would have kitties but unfortunatly where I live, I can’t, which makes me sad… so when I need my kitty fix, I watch your vids!! I watch all day! Any time of the day is a purrfect time… fur real! Pet the kitties for me! Thank you for the opportunity for the chance to win some pretty cool stuff! And good luck to everyone who enters! 😊🐾 “meow… meow meow…. 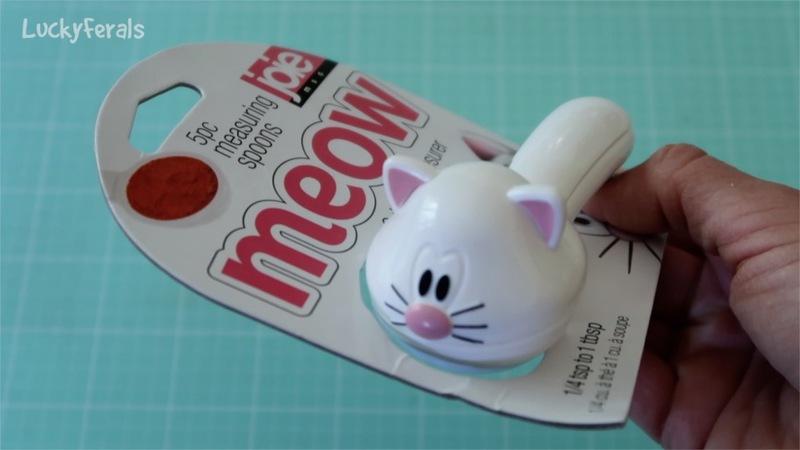 meow…. meow meow! Congratulations! 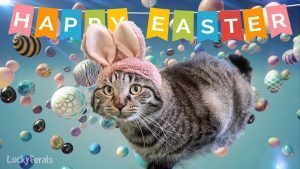 May you & the cats continue….furrever! I watch the lucky ferals when I can. Sometimes before I go to work in the afternoon or sometimes when I come home after work before I go to bed. Kitty videos? I watch them all day, every day – every chance I can! Not necessarily 24 hours but, seriously, every chance I can. Lucky Ferals is part of the repertoire of course! I love to watch cat videos through out the day. I like to start my day off with a cute cat vid then the same at night. I am so happy I came across your channel by watching other cat videos on youtube. I also take care of outdoor cats at my house and its just nice to see that other people out there love cats as much as I do and are willing to help them. Stella, Simba , & Splash and the rest of the cats you care for are so lucky to have you. Thanks for making these videos. I have enjoyed them all. My favourite time is before bed/late at night! I like to go to bed with a good mood and nothing makes me happier than CATS! Thank you for your incredibly channel. 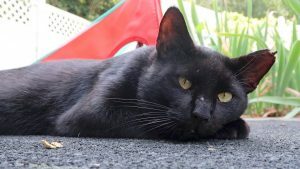 We’ve learned so much Lucky Ferals and support everything you’ve done to give these angelic creatures health and happiness. *** Now that I think of it, I do have a pattern! In the morning with coffee (mornings are tough, but much nicer with Lucky Ferals), and at night just before bed (best dreams ever). *** As my children become teenagers, Mommy turns into Mom, and your channel allows me to relive those baby bonding days, and dream about our two future furry babies (already named “Gussie Fink-Nottle” and “Rear Admiral Squishy Fuzzybottom”). It will be a sad day when the boys go to college, but allergies will not be as much of an issue. *** We wish Lucky Ferals, and all present and future little ones, a life filled with compassion, good health and love. *** <3, zoom.360.marketing & Family in Texas! Cat videos are my favorite thing to watch on YouTube!! I watch them all day every day because 1) I’m a cat mommy and 2) I’m disabled and housebound, so the kitties keep my spirits up!! I love all kitties!! Of course, anytime is a good time to watch cat videos. My favorite time is at bedtime, because they help me to chill. What a fabulous prize package (I would love to win! ), and love that it is good for catless peeps. I became very allergic to cats and I cannot have any pets where I reside. Thank you for blessing us all with your videos, and your dedication to feral felines. LOL, the emojis from my keyboard become altered when this posted. So it looks weirder than what I put in. At night, when my own cat is sleeping so I dont make her jealous. I like to watch cat videos at night before sleeping it helps me relieve stress if i have a test the other day! I like watching cat videos at night while I am laying in bed. Is there a bad time to watch videos? Cat videos are the best things online! I could watch videos of cats when I’m sad/mad/happy anytime of day or night! They always make me smile and feel so happy seeing those cute little fur babies be their adorable selves. I love to watch your videos in the evening before I go to bed.